The title the 'Unfinished Symphony' for Schubert's Symphony in B-minor has always had its mournful attraction for those who do not know the history of the piece. To them it suggests that the quill fell from Schubert's powerless hand just as he was writing the eighth bar of the third movement, the moment when the Grim Reaper appeared at his door. This vision puts them in a state of sad reverence before the music even begins. Without wanting to diminish their enjoyment of the work, we have to tell them that this view is completely false. The 'Unfinished' symphony was left unfinished six years before Schubert's death. It wasn't Schubert's last symphony either: he produced another symphony four years after the 'Unfinished', the Symphony in C-sharp, known in German as Die Grosse Sinfonie. This title is misleadingly translated into English as the 'Great Symphony' –Gross here is not a designation of importance but means simply 'big', or more specifically 'long'. For those with a morbid turn of mind, Schubert's last task seems to have been the correction of part II of the Winterreise, a suitably gloomy way to go, with the Leiermann, the hurdy-gurdy man, rather than with the Sensenmann, the reaper. The speculation as to why the Symphony in B-minor was never finished has put food on the tables of musicologists for more than a century. Let's start with a review of the few things we know with certainty about the piece. The manuscript we have of the Unfinished Symphony contains the first two movements and the first nine bars of the third movement. The manuscript bundle is wrapped in a titlesheet in Schubert's hand. The title is: Sinfonia in H moll von Franz Schubert mpia, 'Symphony in B minor by Franz Schubert'. We know this now as Symphony No. 7 (or No. 8, depending on your counting), D 759. From this title we can be sure that this score is that of the first two movements of a symphony. Also on the titlesheet we have a place and date: Wien, den 30. Octob. 1822, 'Vienna, 30 October 1822'. We can assume that this date designates the start of the writing of the score. We therefore know that these two movements were composed almost exactly six years before Schubert's death. This is the proof that the Grim Reaper played no part in the premature conclusion of this symphony. The titlesheet is decoratively written. Both titlesheet and score are written in a hand that is indubitably that of Schubert. Not only that, but Schubert has added mpia, manu propria, 'with my own hand', at the end of the title, telling us that this score is his work and not that of a copyist. The score comprises 39 landscape sheets, each ruled with sixteen staves. The score is a 'partitur', meaning that the music is completely scored for the instruments of the orchestra. Such a state is regarded as complete by a composer. For an orchestral work the only thing left to do is to produce copies for the individual instruments. The last page contains the first nine bars of the third movement. A separate sheet exists with bars 10-20 of the third movement, but with incomplete scoring. This sheet was clearly detached from the main bundle at some time. After an adventurous journey between various Austrian drawers the manuscript of the Unfinished Symphony finally ended up in the possession of the Gesellschaft der Musikfreunde in Wien in 1902, which has now become yet another Austrian money-spinning hidey-hole. If you want to check the manuscript evidence for yourself you will need at today's prices 157 EUR for the main score facsimiles and 15 EUR for the first few bars of the third movement. Why was this piece, the first two movements of which are some of the most popular pieces of Schubert's music, never finished? The question is particularly justified, in that the score we have is not a sketch or a draft, but a fully worked out composition. Why go to all that trouble and then not finish it? Schubert judged that two movements were sufficient for this symphony. Schubert did compose the missing movements, which have now been lost. Schubert just didn't finish it, for one reason or another. Explanation 1 is easy to dismiss. Schubert explicitly titled the piece as a symphony and even started on the third movement. Nothing in Schubert's previous or subsequent composing history leads us to believe that he would contemplate such a violation of symphonic form as the two-movement symphony. If he wanted to re-use the two movements under the name of something else, as a 'fantasy' for example, he only needed to spend five minutes preparing a new titlesheet. Explanation 2 makes our task even easier: if the rest of the symphony is indeed missing – destroyed or in someone's drawer – there is really nothing more to be said until we find the missing parts or find proof that they existed and were destroyed. Since these two conditions have not (yet) been met, in order to avoid complete unemployment we may as well proceed on the basis of Explanation 3: Schubert never finished the Unfinished, for whatever reason. We have to dig more deeply into the circumstances surrounding the creation and survival of the two movements of the Unfinished Symphony. Under what circumstances did Schubert compose the first two movements of the Unfinished? At the end of October 1822 Schubert was 25 years old. He had been living with Franz von Schober since the beginning of that year, but had moved out that month and was now living with his father and stepmother in the family school in the Rossau district of Vienna. He would be there until April of the following year. Neither in the letter to Spaun nor in any other of the records which we have does Schubert mention anything about the B-flat Symphony, the first two movements of which he had fully composed by that time. Make of that what you will. Did he already see the symphony as being a waste of time, thus no longer worth mentioning? Who knows? There was one ray of light in the letter: the commissioning of that finger-breaker, the Fantasie in C major, Opus 15, D 760, named posthumously Die Wandererfantasie. It was dedicated to a 'rich individual', Carl Emanuel von Liebenberg, Ritter von Zsittin (1796-1856), from whom Schubert could expect a substantial fee. For Schubert, the difficulty of getting anything of his performed in public in Austria must have seemed overwhelming. After the completion of the Wandererfantasie he was busy writing a piano excerpt from Alfonso und Estrella in the hope that this might be performed, one more pointless task. He also received an order from the Hofoper, the Court Opera, for the composition of the music to Fierrabras, so he immediately turned his attention to that. Hope blossomed… and then withered. The project was dropped. It had been yet another fruitless task in that year. Schubert, of course, received no payment at all for the work. Its first performance would take place almost 60 years after his death. In the middle of all this frantic labour, in May 1823 he moved back in with Schober until the autumn. It was then that Schober decided to take himself off to Dresden to pursue an acting career. We can debate what the loss of his close and ebullient friend meant for Schubert – the 'Schobert' was now split up – but it was at the least one more loss of something cheerful in his life. Joseph von Spaun, another soulmate and steadying influence, had been posted to Linz in September 1821. Schubert's 'Circles of Friends' were decisively weakened as their young men went about their careers. The other non-musical event of that period for Schubert, worse than anything else, was the realisation, on 28 February 1823, that he had contracted syphilis. In October of 1823 he was in the General Hospital in Vienna being treated for the disease, after which went to stay until the spring of 1824 with his friend Josef Huber, probably to give his hair time to grow again after the mercury treatment in the hospital had made it fall out. During this time he took to wearing a wig. What a year 1823 had been for him! It is fair to say that those 39 pages of labour and genius that we now call the Unfinished Symphony were just one more thing in Schubert's life that had gone wrong. He had fully written down the partitur of the first two movements but had come to a halt at the third movement. Perhaps the constantly busy Schubert had just kept on going with the elaboration of the piece in the hope that some resolution of the problems of the third and fourth movements would come to him. Some musicologists who have carried out deep musical analysis on the score of the Unfinished claim to see the musical problems that Schubert faced in creating the subsequent movements required by symphonic form. Putting it another way by modifying the old joke: if he wanted to drive to Dublin he shouldn't start from here. According to the analysts, he had written himself into a corner from which he could no longer see a way to fulfil the formal symphonic requirements of the final two movements. He had no leisure to ponder on this problem: other composition tasks were coming in and he had to eat and pay his rent. It seems unlikely that he ever returned to those two movements. In considering the fate of the Unfinished Symphony we need to return briefly to a Schubert theme we touched upon nearly a year ago: the preservation of his work. It was not in the interests of the executors of his estate to talk up the value of whatever he left behind. Most of the music he left – at least that part that the family knew about – was given into the possession of his brother Ferdinand. Franz Schubert did not systematically archive his own manuscripts. There were manuscripts – originals and copies – all over the place: pieces of music in drawers, in boxes, on pianos, sideboards and in private libraries not just in Vienna but Linz, Graz and wherever he was known. Manuscripts in the possession of friends, or friends of friends, music publishers and so on – borrowed and still waiting to be returned, stolen or simply forgotten about. Schubert was a composer, not an archivist. He was an innovater not a journeyman and so seems to have had had little care for much of his bygone work, done on the journey to his present position. How could he? Archiving cost time or money: if you wanted a copy of a piece you had to write it out or get someone else to do that. Reliable music copyists were expensive; let us not forget there were times in his early life when he couldn't afford the pre-ruled paper for his originals. We also have to remember that the scribbles and drafts that Schubert discarded were worthless to him. Only now, after the elevation of Franz Schubert to the ranks of the great composers, is a crumpled piece of paper with a few words or a few lines of music in the great man's hand worth a lot of money indeed, having become a sacred relic. After his death, Schubert faded rapidly from public notice for about thirty years. A fraction of the music we know about today had been published; some unpublished manuscripts were collected; we know of manuscripts that we once had but which are now 'lost'; we know of manuscripts that ought to exist but which have never come to light; we must also presume that there are manuscripts that are still completely unknown. During the thirty years or so of obscurity that followed Schubert's death his music manuscripts were at best souveniers of that half-mythical Alt-Wien, the 'Old Vienna' that had existed before historical nemesis caught up with the Habsburg Empire. With Schubert's name now eclipsed, what were children and grandchildren to make of the scraps of paper found in drawers and tucked into diaries and chapbooks? 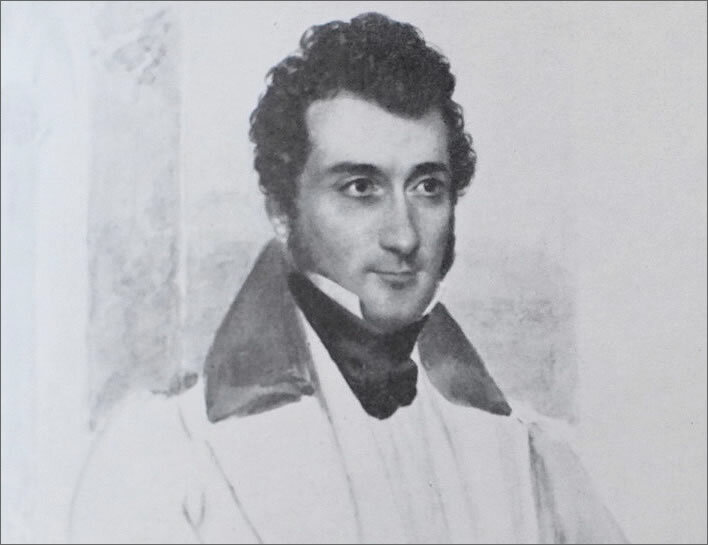 After Schubert's death a few of the people who knew him wrote accounts of him, but the Liederfürst's star faded quickly as another generation of composers caught the Austrian public's attention: the Lanners, father Joseph (1801-1843) and son August (1835-1855); the Strausses, father Johann (1804-1849) and son Johann (1825-1899); Anton Bruckner (1824–1896). The musical baton had moved elsewhere, mainly Germany: the Schumanns, Robert (1810-1856) and Clara (1819-1896); Felix Mendelssohn Bartholdy (1809-1847); Frédéric Chopin (1810-1849); Franz Liszt (1811-1886); Johannes Brahms (1833-1897) and so on. Interestingly enough, no Austrian composers played a major role in the rediscovery of Franz Schubert – the Austrian public had largely forgotten about him. The recovery was left to Schumann, Liszt and Brahms as well as German and English biographers and musicologists. Some Austrian scholars, notably Ferdinand Luib (1811-1877) and Heinrich Kreissle von Hellborn (1822-1869) became involved. Apart from the half-hearted biographical start by Luib, the Austrians seemed to care little for Schubert's memory. 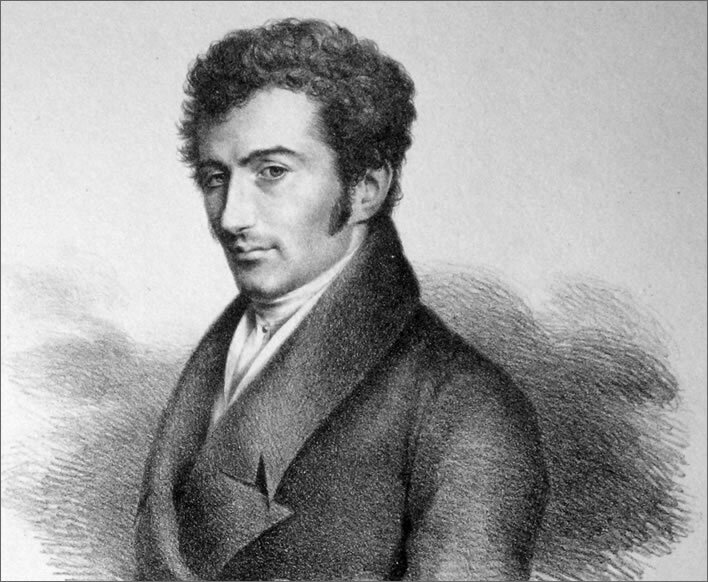 In the period after Schubert's death, for example, Johann Baptist Jenger (1793-1856) – with Anselm Hüttenbrenner, one of the few composers really close to Schubert – wrote an account of Schubert's last years. What a treasure trove of information! Anselm Hüttenbrenner was a close friend of the Pachlers, particularly Marie, another pianist and composer. If the destruction of Jenger's memoir wasn't bad enough, in 1841, Anselm, moving from music to Pietist theology, burned his diary, seemingly as though that act would be some kind of expiation for something or other. What reason can we find? Ferdinand could not get the opera performed in Vienna either, so he, too, kept the manuscript for another 12 years. Finally, Franz von Schober, the author of the opera's terrible libretto, at that moment hanging around Franz Liszt in Weimar, persuaded Liszt to give the opera its premiere in 1854 in Weimar. We are not surprised to learn that Liszt disliked Schober's incompetent score and butchered it appropriately for the performance. This act was probably the final straw in the break with Schober. All Schubert's work on this piece in those dark days of the 1820s had come to this. What followed the years of forgetting were the years of rediscovery that arose from the hard work of composers such as Schumann, Mendelssohn, Liszt and Brahms, who recognised Schubert's innovative genius. There was also the toil of the early biographers such as Luib and Kreissle who did their best to piece together what had survived the years of forgetting. This Schubert renaissance did arguably more damage to the archive record than the ignorant neglect of the years of forgetting. Within a short time any piece of Schubertiana that had any connection to the Liederfürst, the 'Prince of Song' – manuscript music, letters, images – suddenly acquired value and thus became an object of desire for collectors, thieves, dealers or simple nostalgics, who just wanted a piece of that Alt-Wien in their drawers or on their walls. Even when Schubert manuscripts and artefacts made the complicated journey into public archives they were not completely safe from the venal culture of post-Habsburg Austria. George Grove (1820-1900), now famous for his Dictionary of Music, visited Vienna in October 1867 in the company of his friend, the composer Arthur Sullivan (1842-1900). Writing 14 years later in a letter to the editor of The Times in 1881, on the subject of Schubert's C major symphony, he recalled that special mix of Austrian charm, neglect, venality and charlatanry that the pair encountered in Vienna. His works have before now remained concealed for years. The B minor symphony was hidden at Graz till many years after his death; the oratorio of 'Lazarus' suddenly made its appearance in 1859; and the complete Rosamunde music – a noble work – was dragged by Mr. Sullivan and myself out of a cupboard in Vienna in 1867 in a large parcel an inch thick in dust, which had all the appearance of not having been unpacked since the original performance in 1823. I make those facts public in the hope that they may attract the notice of the collectors and musicians of Vienna, who are more interested than anyone else in recovering a possible masterpiece of one of their greatest composers. This latter [symphony] (the well-known 'No.9') appears to have been in the year 1838 in the keeping, not of the society, but of Ferdinand Schubert, by whom it was shown to Robert Schumann during his visit to the Austrian capital. 'He allowed me', says Schumann, 'to see some of the treasures of his brother's compositions which are still in his hands. The wealth here heaped up made me tremble with joy … Among others he showed me the scores of several symphonies, most of which have not yet been heard … Who knows how long the one of which I am now speaking would have lain there in dust and darkness if I had not at once arranged with him to send it to Leipzig,' etc. And what happened to the 'Unfinished' during the years of forgetting up until the Schubert renaissance? At some moment it left Schubert's possession. That sentence is the only true one we can write. We know where it ended up, though, because around forty years after Schubert stopped work on it, the manuscript was found in the possession of Anselm Hüttenbrenner, whose brother Joseph claimed that Schubert had given Joseph the work to give to Anselm in thanks for sending him the diploma of his honorary membership of the Styrian Musical Society in Graz. Happy days. Johann Baptist Jenger (1793-1856), Anselm Huttenbrenner (1794-1868) and Franz Schubert (1797-1828), pastel by Josef Teltscher (1801–1837), 1827. Original now – of course – 'lost'. The letter is itself an absurdity. It is scarcely conceivable that the proposed work would be a symphony that had already been written, it would have to be a future work, still to be written. The suggestion that Schubert handed over just the first two movements of an incomplete symphony is risible. This fact alone leads us to suspect that there is some direct relationship between the manuscript of the Unfinished and the fake letter. Was the letter concocted to justify the extraction of the manuscript from Schubert's possession? Just to complete the absurdity surrounding this letter, in characteristic Austrian style the original letter, once a 'priceless treasure' in the society's archive has now been 'lost'; all we now have is a printed facsimile from 1905. Schubert's father wrote to him in August 1824, when Schubert was with the Esterházy family on their country estate in Zseliz (now Želiezovce), asking him whether he had responded appropriately to the music societies in Styria and Linz who had given him honours. 'Knowing his son all too well', he suspected he hadn't. [Dok 254] By which he meant the dedication of a suitable piece. As far as we know, Schubert never sent either of the two provincial societies any of his works. Joseph Hüttenbrenner's various stories of the acquisition of the Unfinished have to be judged as fiction, if only because of their internal inconsistency. Anselm had no particular voice with the Styrian society; he had done nothing for which he needed to be rewarded. Jenger was a close friend of Schubert's and certainly did not need the services of the Hüttenbrenners to send Schubert the diploma of his honorary membership. The fake letter of thanks, if it were true, would make the situation for the Hüttenbrenners even worse, since the letter offers a partitur of a symphony to the society, not to Anselm Hüttenbrenner. If this was so, we can only ask why the partitur was in his possession and not in the archives of the society? Why is there not the slightest hint from the Graz music society about this matter in the documentary record? Joseph even tells us on several occasions that the manuscript was in his possession for 'many years' before he handed it over to Anselm, who therefore could not have received it in the name of the music society. Or did Anselm receive it just for bringing the certificate of honorary membership from Graz to Vienna? In which case, why do we have a fake letter hinting at the gift of the partitur to the music society? Absurd. In the time-honoured Austrian fashion, we can prove nothing with certainty and therefore we must just learn to live with the unpleasant odours emanating from this matter. The situation is made even more obscure when we reflect on Joseph Hüttenbrenner's relaxed attitude to documentary authenticity: a number of Schubert's first editions were signed by Joseph Hüttenbrenner with Schubert's name or initials. If we assume that Joseph and/or Anselm Hüttenbrenner stole or hid the manuscript, we also have to assume that Schubert never noticed its absence, or that the manuscript was 'acquired' after his death. We also have to ask what possible use a manuscript of an incomplete symphony is. In 1823 there was no paying demand whatsoever for Schubert's larger instrumental works. Priceless to us now, its monetary value really was just about the value of the paper it was written on. This thought offers the Hüttenbrenners the only excuse they have: until around 1860, who cared about Schubert's orchestral works, except people like Schumann and later Grove and Sullivan? In whatever way the Huttenbrenners may have acquired the manuscript of the Unfinished Symphony, in effect they kept it out of sight for nearly forty years. Anselm in particular left several biographical notes documenting his indispensibility for Schubert, but in none of them did he even mention this treasure. For some unfathomable, Austrian reason, it took a further five years before Herbeck collected the manuscript from Anselm, promising to have an overture by Anselm performed in Vienna as a quid pro quo. The two movements of the Unfinished were performed in Vienna on 17 December 1865, 43 years after their composition and 37 years after Schubert's death. On the programme for that evening its predecessor really was an overture by Hüttenbrenner. Joseph developed a venomous animosity towards Herbeck from this moment on, accusing him of false dealing with the brothers. According to Joseph, by 1868 Herbeck had become the mortal enemy of Anselm and him. [Erinn 221] In 1867 Joseph even claimed that Herbeck had not allowed him to enter the concert hall to listen to the final rehearsal of the programme, because Joseph had refused to lend him two Schubert operas in his possession. [Erinn 512] 'What operas were they?' you exclaim. No idea. The four Hüttenbrenner brothers, Anselm (1794-1868), Joseph Vinzenz (1796-1873), Andreas (1797-1868) and Heinrich (1799-1830) all played some part in Schubert's life. They were born and grew up in Graz, the capital of the Austrian province of Styria, but Anselm and Joseph in particular spent long periods in Vienna. We can ignore Andreas and Heinrich's parts in this account. The oldest brother, Anselm, was the star of the family – he is the one who now has an entry in both the German and the Austrian official biographies, whereas Joseph, Andreas and Heinrich are now unmentioned. Anselm was a skilled pianist, though in retrospect an uninspiring composer. Salieri taught him without charge for five years and it was during those lessons that he first met Schubert, at that time another of Salieri's pupils. It seems fair to say that Anselm had musical skills and application, but never anything like Schubert's spark of genius. Three images of Anselm Hüttenbrenner by Joseph Teltscher (1801-1837). Top: engraving 1825; middle: lithography, 1837; bottom: reproduction of a water-colour, ND. Schubert valued Anselm's friendship. In fact, Anselm was one of the very small circle of musicians who became close friends of Schubert, others being notably the composers Franz Lachner (1803-1890) and Benedikt Randhartinger (1802-1893). As practitioners of a common craft there was a strong bond between them, even though we might regard them as being nominally competitors. His other friends were mostly artists, writers and a sprinkling of lawyers and civil servants. Anselm did some bottom-feeding off Schubert. Whilst brother Joseph was trying to shift Schubert's Lied Erlkönig, Anselm decided to cash in on its popularity by writing and publishing with Schubert's publisher the Erlkönig Walzer. [Dok 127f] We have to be fair: Anselm didn't adapt Schubert's music from the Erlkönig, but just wrote a walz and gave it the latest, modish title. It appeared for sale on 13 August 1821. Schubert knew of all this, of course, but had no objection – all was fair in love and Viennese music publishing. Joseph Hüttenbrenner's career, in contrast, was that of a low-level plodder and civil servant. At the time he was introduced to Schubert he was running a farm. It is Joseph Hüttenbrenner's relation to Schubert that causes our present headscratching. 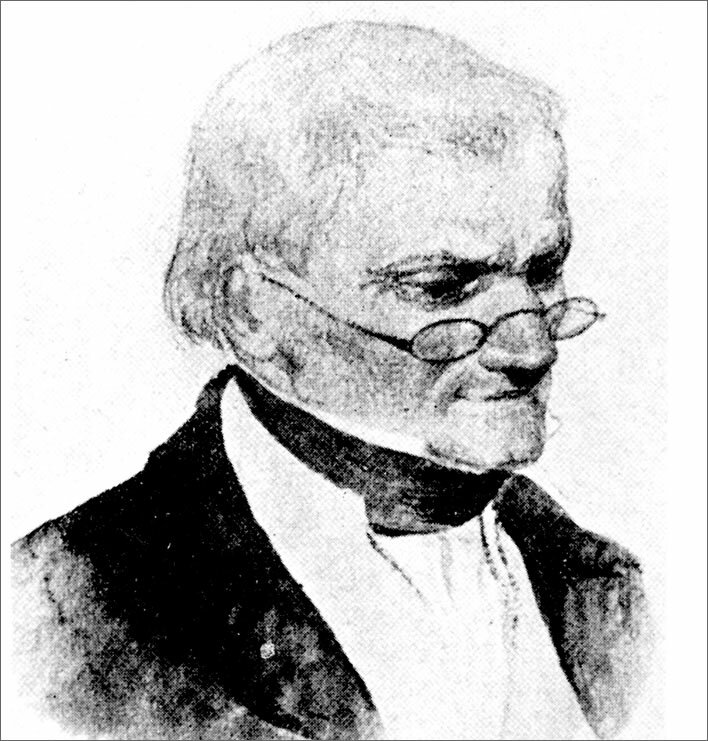 Joseph Hüttenbrenner, no date, reproduction of a water colour presumed to be by Joseph Danhauser (1805-1845). Joseph got to know Schubert in Vienna in the summer of 1817 and was taken with his music, particularly his song compositions. The liking for Schubert's music quickly became the deepest reverence for the composer. Joseph moved to Vienna in 1818 and started making himself useful to Schubert as a factotum. The degree of real friendship between the two is unclear. Schubert paid little attention to his many manuscripts. If friends visited him and he performed new songs for them which they liked, they took the sheets away, promising to bring them back soon themselves - which rarely happened. Schubert often had no idea who had taken what songs with them. My brother Joseph, who lived in the same house as Schubert did at the time, decided to gather up all these scattered lambs, which, after a lot of research, he managed to do quite well. I saw this one day with my own eyes: my brother had collected and classified over 100 of Schubert's songs in a drawer. This pleased our friend Schubert, who after that gave all subsequent works to my brother for safe-keeping, as long as they lived under the same roof. '[A]s long as they lived under the same roof'. That's a lawerly phrase – what does it mean? Joseph Hüttenbrenner lived under the same roof as Schubert for only a brief period. Schubert and Johann Mayrhofer (1787-1836) lived in what is now Wipplingerstrasse 2. The landlord of the house was a certain Johann Irrsa. On the third floor Mayrhofer was a sub-tenant of Frau Anna Sanssouci between 1818 and 1820. Schubert moved in with Mayrhofer. On the one hand Schubert gave him a copy of Die Forelle (D550) as a mark of 'sincere friendship'; on the other hand he kept Joseph at arm's length, easily done in German since Schubert always addressed him with the formal Sie for 'you', not Du, the form used by close friends or among family members, or people who have gone to school or university together. In German it is a mark of special friendship to be someone's Duzfreund. As we would expect in such relaxed circles of young men, with many artists and writers who had been together in the same schools, Schubert was on Du-terms with all his friends. He was on Du-terms with Anselm, but only ever on formal Sie-terms with Joseph. It may be that giving orders is easier with Sie, making the form more appropriate to Joseph's role as Schubert's amanuensis in dealing with third parties. Be so good as to bring out to me [in the Rossau] [the proofs] from the opera [Alfonso und Estella], each act as it appears. I also want you to do something about the existing [outstanding] invoices with Diabelli, since I need money. 'Be so good as to do something' is the sort of language you might use with a child or a junior – polite but insistent, in German just as it is in English. I need to make some changes to the songs I gave to you, so don't give them to Herr Leidesdorf yet, bring them to me here [in the Rossau]. If they have already been handed over then they have to be recovered as quickly as possible. At least here Joseph is addressed explicitly. The style of the address is neutral and could be used both with friends and underlings. The letter is dated and rather formally signed. Schubert was living with his parents at the time in the school in the Rossau, so the letter would have had to make its way to Joseph Hüttenbrenner in Wiplingerstrasse 2. Joseph's hero-worship of Schubert seems to have led him into flatulent, cloying praise and hyperbole when he wrote pieces about his hero. [Dok 121, 126, 168] This immodesty was foreign to Schubert's character. Not only that, but such blatent puffery may have been inimical to the appreciation of Schubert by more discerning souls. Joseph Hüttenbrenner clearly had his limits in style and taste. 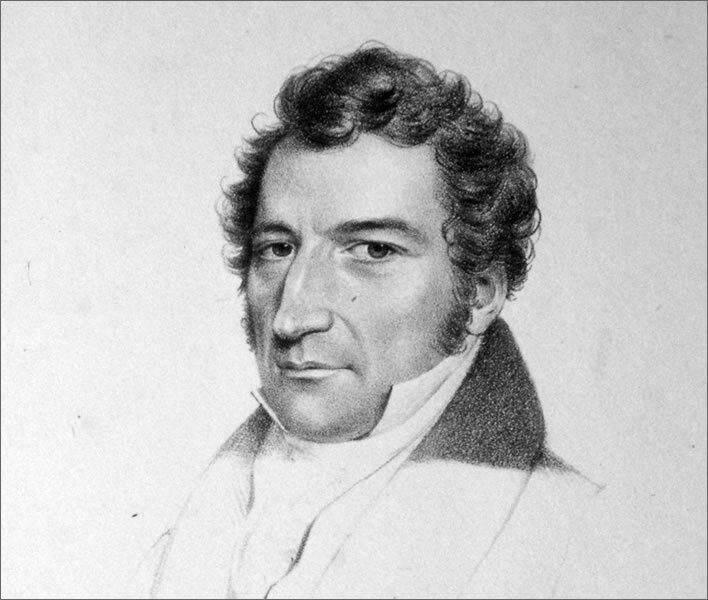 From the records we have, Joseph's bookkeeper phase reached its peak in 1822/23, just in the period of the creation of the first two movements of the Unfinished symphony. There are many advantages in providing Schubert, the composing machine, with administrative help – we would do Joseph's memory a disservice if we ignore them. But there was a great disadvantage: the payment for Joseph's services did not come from the cash-strapped composer as money but as payment in kind, that is from whatever Joseph could make from manuscripts and the like. We only need a moment's thought to realise that such an arrangement is a dangerous mixture of mine and thine. In addition, there is the upalatable habit, also present in Anselm, of blowing one's own trumpet. This habit is not restricted to Schubert's friends, it seems to be a characteristic of many non-aristocrats in the feudal hierarchy of the Habsburg Empire, where CV inflation was the only way for the mediocre to get on in the world. Among Schubert's friends it frequently manifests itself in the inflation of their role in Schubert's life that occurs after the forgotten composer began to achieve posthumous fame in the 1860s. In 1860 Joseph styled himself with a title after his signature: Schubert's 'Prophet, Sänger, Freund und Schüler', 'prophet, singer, friend and pupil' a fine specimen of CV polishing. [Erinn 219] Joseph also repeated, whenever he had the chance, that the song Die Forelle was written in Anselm's rooms and dedicated to Joseph. Nor was Anselm immune. He happened to be, he tells us, one of the two people present when his hero Beethoven died on 26 March 1827. He was so distressed by the loss of that musical titan he busied himself snipping locks of hair from the dead composer. … you may be surprised when I tell you that for me music was a secondary matter and only a recreation. What my spirit principally occupies is theology and magnetism. In October of 1857 Luib wrote to Joseph Hüttenbrenner asking for his memories of Schubert. Joseph did not answer. Towards the end of December Luib wrote once again, this time enclosing a list of specific questions. Over the course of several years, Joseph gave some answers to the questions and added various brief narratives. We have to agree with Deutsch, that Joseph's responses also show a confused state of mind. The high point of Joseph's relationship with Schubert seems to have been Schubert's tipsy gift to him of a copy of the song Die Forelle in 1818. That manuscript, the famous 'inkblot manuscript' was in Anselm's possession, then, in true Austrian fashion, was 'lost'. This tale is repeated fondly in several accounts by both Anselm and Joseph. The reality is that in 1818 Schubert, late one evening in Anselm's room after a drinking bout, wrote out a copy of Die Forelle. The song had already been composed some time before. He sent it via Anselm to Joseph with a friendly greeting and an apology for blotting the manuscript. Over the years the tale has developed in the telling: in the end, as far as the Hüttenbrenners were concerned, Schubert now composed the song in Anselm's room and 'dedicated' it to Joseph. In keeping with true Austrian tradition we now have only a facsimile of this famous inkblot manuscript – the original is – guess what – 'lost'. Anselm wrote a biographical sketch of Schubert in the early 1850s, which he sent to Franz Liszt, then in Weimar. According to Anselm, Liszt never confirmed the reception of the piece and Anselm could only presume that it had been lost. Some alarm bells ring for us when we remember that around this time Franz von Schober, that master magpie hoarder of Schubert documents, was hanging around Liszt, affecting to be his amanuensis. The thing we find remarkable about the Hüttenbrenners' various communications to Luib around 1858 is something that is completely missing: any mention of the manuscript of the partitur of the first two movements of the B minor symphony, the Unfinished. The 'inkblot' manuscript of Die Forelle and its flattering 'dedication' are clearly remembered, but about the manuscript of the Unfinished symphony there is silence. Which brings us to the 'discovery' of the manuscript of the Unfinished symphony. Joseph revealed its existence to Herbeck quite guilelessly, or so it seems, leading us to believe that forty years after the fact he and Anselm had come to see the manuscript as legitimately Anselm's property. Anselm could have given Herbeck a copy, but gave him the manuscript itself. Trading a single performance of Anselm's overture in exchange for such a treasure is hardly a crime. As already noted, the key question of how and why Joseph came into possession of the manuscript cannot be resolved on the basis of the evidence available to us. Our problem may be that in hindsight we are overvaluing the Unfinished symphony – our reverence for Schubert has become so great and so much of his work has gone missing that every scrap of paper that bears any mark made by him becomes an object of intense desire. Yet we only have to ask any person who is even only slightly interested in classical music what pieces by Schubert they can name. No matter how short the list, it will in all likelihood include the Unfinished Symphony. We probably have to be grateful to the Hüttenbrenners, despite all the dubious events surrounding the emergence of the work into the world, that it survived and that we can hear it today. Handbuch Dürr, Walther, and Andreas Krause. Schubert Handbuch. Bärenreiter; Metzler, 2007. Hilmar Hilmar, Ernst. Franz Schubert. Rowohlt, 1997. Lexikon Hilmar, Ernst. Schubert-Lexikon. Graz : Akademische Druck- und Verlagsanstalt, 1997. Waidelich Waidelich, Till Gerrit. 'Joseph Hüttenbrenners Entwurf eines Aufsatzes mit der ersten biographischen Skizze Schuberts (1823) und zwei Fragmente seines ungedruckten Schubert-Nachrufs (1828)' in Schubert : Perspektiven. Jahrgang I. Heft 1 (2001), p. 37-73.